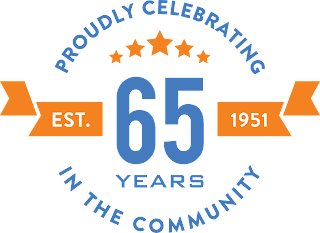 2015 was an exciting year for Community Financial. We grew to over 60,000 members who are saving and borrowing hundreds of millions of dollars together. Our continued growth and branch expansion also led to the creation of 20 new positions within the credit union, for a total of 220 team members employed in our local communities. As a not-for-profit financial cooperative, we have a significant impact on the areas we serve. Our volunteer board of directors understands the importance of having healthy communities for our members to live and work in. They want local consumers and businesses to enjoy sound financial health, and for our communities to be enriched through our existence. Our 2015 results show that we have once again successfully fulfilled our board’s promise. We saw some of our strongest loan growth ever in 2015, especially in mortgages. We are proud to help our members achieve their dreams of home ownership. Helping members accomplish their financial goals not only makes Community Financial successful, but also builds stronger communities. In 2015, we supported local nonprofits through our Summer of Sharing, Warming Hearts & Homes, Thumbs Up For Charity, and Community Sharing programs. We also partnered with 46 schools to help youth learn money management skills through our Student-Run Credit Union program, classroom presentations and the junior achievement program. As we move into 2016, we will celebrate 65 years serving our communities. The values on which we were founded— service, commitment, and respect for our members— remain as strong today as when our story began 65 years ago. Our members make this all possible as owners of Community Financial Credit Union. I hope they feel a sense of pride in being part of a very special cooperative that is changing lives and making our communities better places to live and work. We are proud to present Community Matters, our Annual Community Report for 2015. For many of us, the start of a new year means more than just a bunch of looming resolutions; it means more money. 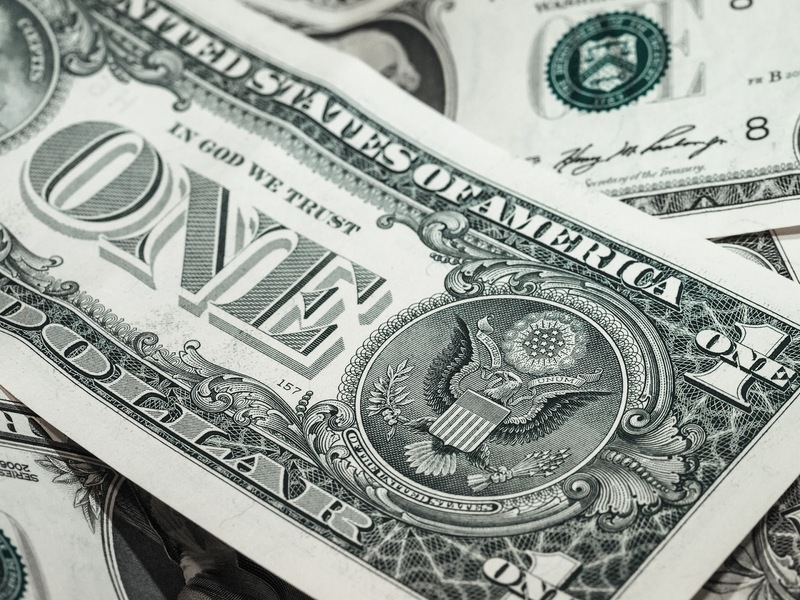 In fact, recent data indicates that U.S. employees across the board will be celebrating salary increases in 2016, to the tune of 2.7 percent or possibly more. But before you take that raise of yours and use it to upgrade to a larger living space, update your cellphone or treat yourself to a brand-new wardrobe, here's another tactic to consider: Pretend that raise doesn't exist. If you have extra money coming your way, one of the best things you can do with it is allocate it toward retirement. According to Fidelity, by age 30, you should aim to have saved the equivalent of your salary in a retirement account. By 35, you should have twice your salary stored away. If you've got some catching up to do, now's the perfect opportunity to take advantage of a raise. Best of all, if your employer offers a 401(K) matching program, putting that extra money in could translate into additional free money from your company. Pretty much every financial expert agrees that it's important to have an emergency fund for situations like job loss or unforeseen medical expenses. Most advise putting aside enough money to cover three to six months' worth of expenses. If your emergency savings is lacking, here's your chance to pad that account by taking whatever extra money is coming your way and sticking it in the bank. You can even set up an automatic savings plan so that you don't need to remember to transfer that money month after month. Incidentally, this will also help you avoid the temptation to spend that money on frivolous things you want but don't actually need. 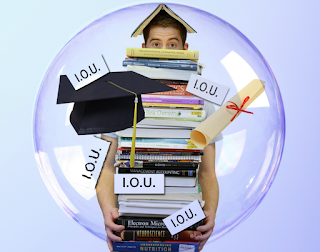 Are you among the many college grads still carrying a wad of student loans? One of the smartest things you can do with your raise is use the extra money to pay down your debt. Remember, the sooner you pay off your loans, the less they'll end up costing you, as you'll eliminate some of those pesky interest charges by lowering your principal more quickly. Whether it's a car or a house you're saving to buy, coming up with that down payment can be a major challenge. If you're getting a salary increase this year, use it to save for major life milestones like purchasing a vehicle or becoming a homeowner. Even if you're only looking at a few extra thousand dollars, you'd be amazed at how much every little bit helps. You work hard for your money, and it's natural to be tempted to spend it on things that offer instant gratification. But before you do, think about your future and whether you're on track to meet your long-term goals. Yes, it might be nice to have a larger apartment, or a new TV, but in the grand scheme of things, attaining financial security is far more important. And while you may lose out on the fun factor by going the responsible route, there's something to be said about buying yourself a gift that truly keeps on giving: financial peace of mind. When someone does a great job, a common sign of approval is to give them a “thumbs up.” During the month of March and April, Community Financial wants you to give a “thumbs up” to your favorite charity. So how does "Thumbs Up for Charity!" work? We invited the community to submit nominations for local organizations to receive recognition and a financial donation up to $10,000! Nominations were accepted at cfcu.org/ThumbsUp until Saturday, April 2nd. Five finalists were chosen from the nominations received and voting started April 11th. Residents can vote for one of the five nominees once a day until April 29th, so don’t miss this chance to give recognition to the group you think deserves it most! Winners will be announced on May 2. The charity that receives the most online votes will receive the grand prize of $10,000! Second and third place winners will receive $5,000 each, and the fourth and fifth runners-up will each receive $2,500. “Thumbs Up for Charity!” gives residents the chance to be a part of giving back to local nonprofits that have already given so much to the communities where they live, work and play. 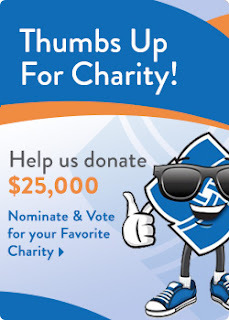 If you would like to nominate a charity for "Thumbs up for Charity!" next year, please make sure that it is a registered 501(c)(3) organization, recognized community support organization, or associated with an accredited educational institution serving the communities within Community Financial's field of membership. For complete contest rules and more information about the “Thumbs Up For Charity!” program visit cfcu.org/ThumbsUp. Now is your chance to make a difference in your community! For the first time in six years, Americans continue to see gains in the value of their homes. If you’ve been carefully managing your debt, you might find that you have an untapped line of credit: the equity that’s in your home. Equity is the value of your property minus the debts that are held against it. If you pay down your mortgage by $500, you have an additional $500 worth of equity in your home (assuming the value isn’t less than what you owe on your mortgage). Building up equity is one of the best arguments for owning a home as opposed to renting one. The money you pay monthly toward your mortgage is still yours, and you get it back when you sell the house. Many people use that equity to help fund home improvements or other projects. 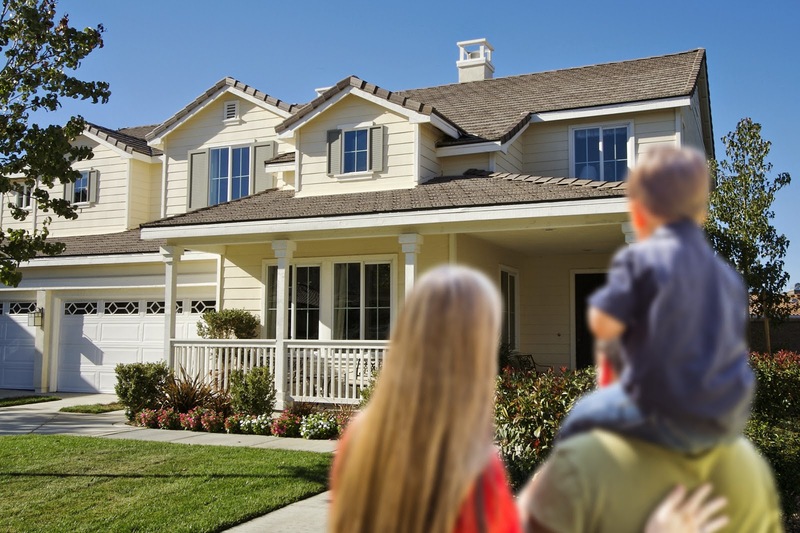 Before you start, let’s look at some common mistakes people make with home equity lines of credit as well as some low-risk opportunities they can provide if managed responsibly. One of the key causes of the sub-prime mortgage crisis was abuse of home equity loans. People would spend recklessly using the equity in their homes. They expected the value of their property to forever keep pace with their levels of spending. When it didn’t, they found themselves owing more money on their homes than they were worth, and there was not enough credit (or value) in the home to refinance. Spending your home equity to finance your lifestyle is a lot like burning your house down to stay warm in the winter. It’ll work for a while, but you’ll be left without a place to live. Unlike student loans, which have a fixed interest rate, the interest rate on a home equity line of credit is variable. Changing economic conditions can make the loan more expensive without much warning. A home equity line of credit also doesn’t get interest deferment, repayment delays, or federally subsidized interest rates, which makes them a poor choice for college financing. One of the smart money habits of financially successful people is establishing a small pool of savings to pay for unexpected disasters like job loss, car repairs, or major illness. Having this savings enables them to avoid going too heavily into debt if one of these catastrophes occurs. You can use your home equity line of credit in a similar way. While it’s not an ideal emergency fund, it’s a far better rainy day answer than credit cards or payday loans. If you’ve been thinking about opening a small business, you probably already know that financing that dream can be a struggle. Your home equity line of credit can help pay for some of your start-up expenses. You can use it in conjunction with grants and small business loans to diversify your risk. The favorable, flexible repayment terms and lower interest rates can make this a viable option for your new venture. One of the safest investments you can make with a home equity line of credit is remodeling or improving your home. Installing new appliances, vinyl siding, or energy efficient windows will pay dividends both in the increased value of your house and in your quality of life. These improvements will increase the value of your home. They will also increase your available home equity, and the money you’ve put into your home will possibly pay off when you sell it. Considering a home equity loan? Give us a call at (877) 937-2328 or visit cfcu.org/HELOC for more information. We’d be happy to review your unique situation and recommend the home equity loan or line of credit that’s right for you. When you were hired at your job, you had to fill out a W-4 and tell your employer how you wanted your income taxes deducted from your paycheck. It’s a pretty simple form. You check a box if you’re married and fill in the number of kids you have. That gives your payroll office an idea of your tax rate. 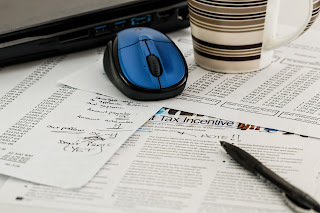 When you complete your tax return, you’ll be much more aggressive in figuring your deductions and credits. You’ll also wind up with an income that’s a little lower than what your employer was estimating. That means you get a refund. The government pays back some of the money it withheld from your paycheck. The reason you might want to get mad about this practice is that you’ve basically given the government an interest-free loan. Your refund actually represents a loss. If that amount had been sitting in a savings account earning interest, you’d actually have more money to spend! Today’s students pay a premium to go to college. It’s more expensive than ever to pay tuition, textbooks are borderline extortion, and after inflation the minimum wage is about 30% less than it was a few decades ago. So working all summer to pay for school has turned into working as many hours as you can to support yourself while taking out a staggering amount of loans. We all know it; the headlines are everywhere. It’s no surprise that more college students are shying away from financial risks. Today’s twenty-somethings are less entrepreneurial than their parents, less interested in owning a home and even less willing to take on a car loan. It’s been drilled into your head that debt is bad, often with family horror stories about how much debt your parents had to overcome, or maybe never did. Unfortunately, those same lessons that were meant to teach you frugality have instilled some bad habits and perhaps some unnecessary fears. There are really two kinds of debt. Bad debt is money you owe and have no chance to repay. Credit card debt can stay with you for a long time, particularly with the high interest rates young people have to endure. You can end up paying off that mall shopping spree long after the clothes you bought have made their way to the local charity shop. Good debt, on the other hand, represents a risk you’ve taken, and may yield a financial reward. Opening a business involves taking on a loan, but in exchange, you have the chance to build a constant source of cash for your life. You need a loan to buy a house, but you can always sell the house, often making a tidy profit. Even your student loans represent a risk. You’re taking on the loans now in the hopes that your lifetime earning potential will increase enough to offset the cost of your education and secure employment in a career that pays more than you would have otherwise earned. At some point, you’re going to want that good debt. You’ll want to stop renting, or own your own business, or go back to school to get ahead at work. The only way to get enough cash for those options is to take out a loan. When the time comes, you’re going to need a good credit history. So, let’s turn that bad debt into good debt. Get a credit card from someone you trust, and use it for your monthly expenses, such as groceries and gas. Then, pay it off in full every month. If you have outstanding credit card debt, roll it into a lower-interest rate loan. Start with the highest interest rate and work your way down. If you would like a free review of your credit score call us at (877) 937-2328 or stop by your local Community Financial branch. You can also learn more about how your credit score is calculated by visiting cfcu.org/Review. If you’re already on top of your bad debt, give us a call to find out about good debt. You can find out what it will take to own a home or start a business, and then start the process of getting everything in line. The younger you are when you start, the easier it can be to get everything working for you.